Use the StrongholdTM System where windows are above ground level or extra strength is required. 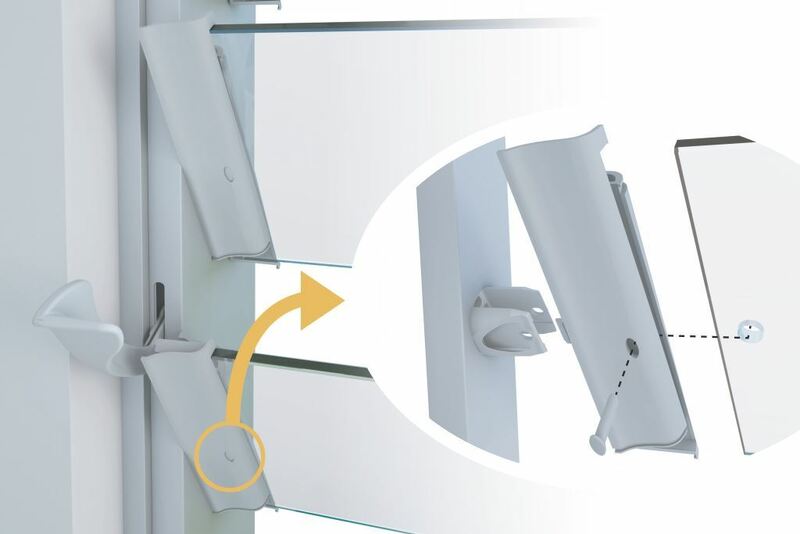 Designed to mechanically retain blades without obstructing outdoor views, the Stronghold System improves blade retention and minimizes the risk of blades being dislodged by impact. Stronghold is ideal for multi-level buildings, schools, lanai enclosures, or as an added barrier in residential buildings. The louver blades are retained in Stronghold Clips by a pin that passes through the clips, bearing and blade. Once installed, the pins cannot be removed without tools and the blades are prevented from being removed from the clips. Pins are visible on the inside/underside of the clips. Altair Louvers with the Stronghold System has completed static load, swing bag and sphere tests to ensure superior performance on lanais, offices and external high level areas. Depending on the blade material, testing of Stronghold has achieved a load of 700N and up to 1500N in the open position. Available for 4″ or 6″ glass or aluminum blades. Available with the range of Altair Louver options, including Powerlouver. Glass blades must be processed and tempered for use with the Stronghold System. Identical to the standard heights of Altair Louver Window Systems with regular clips. 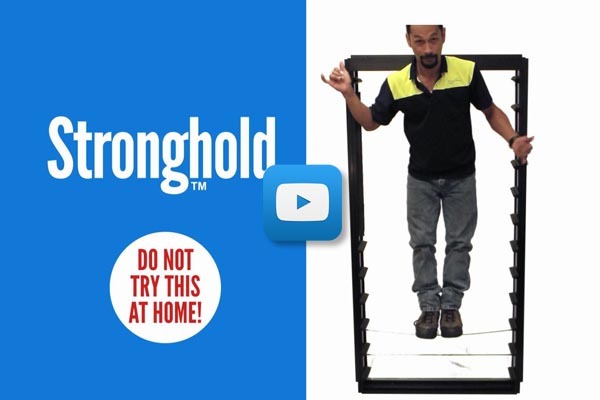 To learn more about the Breezway Stronghold System that has been designed for strenght and safety please view the video below. 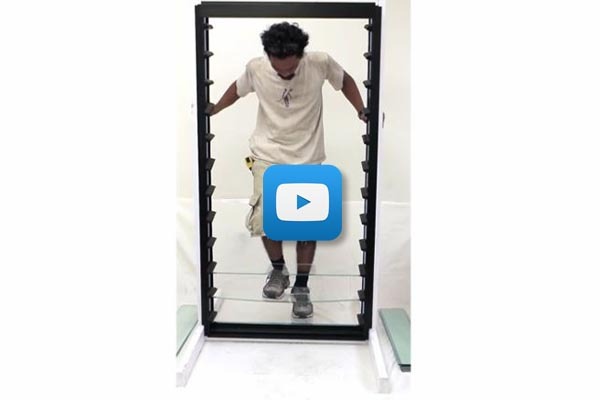 The following footage uses trained Breezway testers and the Breezway Stronghold System. Do not try this at home.